According to the data released by the OECD it seems that our Finnish teacher’s salary is just above OECD average. It also seems that during our career the difference between the starting and ending career don’t grow much. 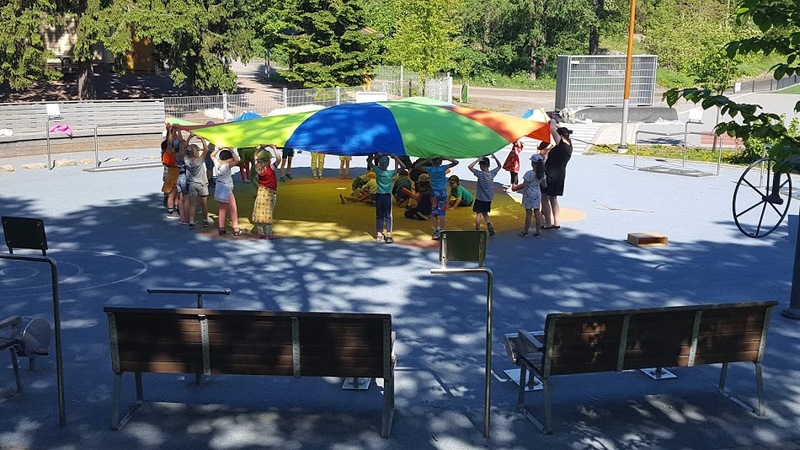 If money is not the reason to become a teacher in Finland, so what are the reasons? In our society education is still appreciated and this shows directly in the number of appliers to teacher education. For example the Helsinki University takes 120 starters yearly and under 10% of the appliers are chosen. The teachers have Master’s degree in every school level. The salary increases by the working years and you can also achieve a so called bonus, which is granted by the principal of the job well done. I have a full autonomy in my teaching. I can choose the materials and teaching methods myself. Usually the teacher colleagues together choose the study books but I can still teach the way I want to, even with my own material. There are no school inspectors or. We don’t have standardized tests. The only exception is the National Matriculation Exam, which is for students at the end of an upper-secondary school. I myself observe the learning daily and have my own tests when I think they are needed.I make my own tests for students or make them together with a colleague. We don’t give much homework. The principals have conversations with teachers where they discuss and plan their future training. I feel that I have a possibility to be creative in my work! The students have many breaks during the day. They go out and play together in the school yard. In our society childhood is also about being together with your family and friends and getting a lot of active exercise outside. We don’t belong to stereotype of the hard-working, rote memorization of Eastern Asian study and work ethics. Many of these countries, like China, Singapore, and Korea among others routinely rank in the number one spots in both math and science. With totally different approach to education we have been in PISA research in the top during it’s beginning! Our education might be a better and healthier way to continue. Our results don’t lie. Flexibility of the curriculum means that I know which contents belong to different year classes and what my students are meant to learn during the year. With my colleagues we can plan and carry out study modules with the best way we want. We of course take notice of the current local events. We can also arrange the core contents so that it supports the learning best. The curriculum isn’t a list of things to do it’s a guideline for our planning and executing our teaching. Instead of control, competition, stress, standardized testing and a list ranking our schools we have warm relationships with our students and we collaborate well with our colleagues. We feel we get highly professional teacher-led mentoring and assessment, Of course we would like to be better paid! But if you had the choice of the above conditions or a better salary, which one would you choose? As part of the Top Global Teacher Bloggers / CMRubinWorld.com / Global Search for Education http://www.cmrubinworld.com/TGTB, above is my answer to question of October: If we make teaching a more financially attractive career will it improve global education overall? http://marketing.pathstomath.com/wp-content/uploads/2013/04/paths_to_math_logo_340x156.png 0 0 Maarit Rossi http://marketing.pathstomath.com/wp-content/uploads/2013/04/paths_to_math_logo_340x156.png Maarit Rossi2018-09-26 10:56:132018-10-06 15:08:48If We Make Teaching a More Financially Attractive Career Will it Improve Global Education Overall? What is the Best Gift You Would Recommend for Your Students this Holiday Season? How Much Time Should K-12 Students Spend at School During a Calendar Year What Does a High Quality, Global PBL Program Look Like in Your Classroom?